Why is Project Portfolio Management Important? Project Portfolio Management (PPM) refers to the collective methods, processes, tools & techniques used by project management team (including project manager, portfolio manager and project management office – PMO teams). Project portfolio management aims to centrally analyse and manage ongoing or upcoming projects based on various parameters to achieve organisation’s strategic objectives and goals. Company strategy is decided by management/board in the boardroom meetings. Project portfolio management paves the way to implement company strategy through optimal selection and successful execution of projects. It is sort of getting the company’s tire to hit the roads. As per PMI, PPM involves optimising resources, budget, schedule as well as risks to select & deliver project(s) to achieve organisation’s financial, marketing, operational goals. PPM also takes into account, restrictions or limitations as implied/exercised by customers, statutory/legal requirements, company’s strategic goals, etc. Enterprises typically wants to invest only in those projects having significant returns on investment. 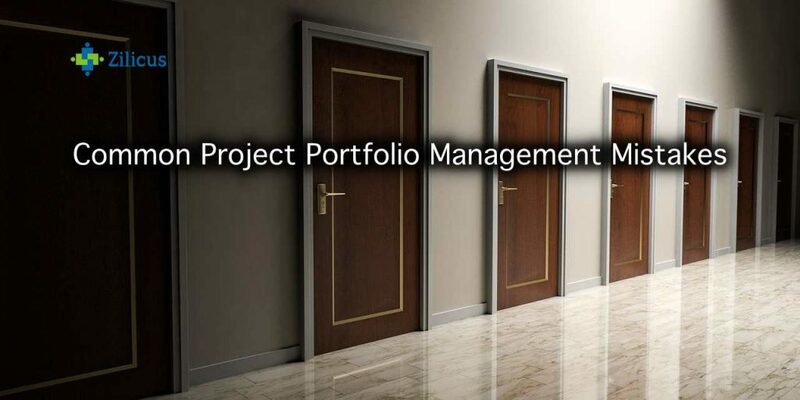 Project portfolio management is used to assess possible return on all those proposed projects (or even invest more in currently ongoing/on-hold projects). PPM processes and tools allow organisation to identify value, foresee risks so as to make an informed decision about every projects. It is about having right information on table, having communication with key decision makers & stakeholders and making informed decisions. If project portfolio management is implemented properly, it is highly effective and beneficial technique to get approval, buy-in from key stakeholders inside and outside company. It allows key stakeholders such as executive managers, clients, auditors to see the larger picture backed by data such as budget, cost, risks, changes, margins, benefits. PPM tools which facilitate consistent and articulated communication with stakeholders are extremely valuable as it is highly likely to reduce friction & increase support from decision makers, sponsors, clients. It also greatly instils transparency, accountability and governance. In nutshell, like typical portfolio management concept, PPM can also help companies diversify projects risk, optimise returns by optimal allocation of resources, funds. Do we have right resources, enough budget to take up & deliver a given project? Whether a given project aligns with our portfolio strategy or company strategy? Earned value of a project, CPI, cost variance ,etc. Which resources can be deployed? When they can be deployed? For how long they can be deployed? Usually business managers in enterprises use what-if analysis and scenario based planning across portfolio of projects to determine optimal mix of resources needed, available, to be procured/hired. Whether you have diverse or homogeneous set of projects in a given portfolio, it does not eliminate immunity to risks. Using PPM processes and tools, portfolio manager has clear access/view of risks across projects. Following the right risk management processes, one can mitigate those risks in register and induce higher confidence levels to execute projects successfully. Similarly, incident management allows portfolio managers to identify impact and re-positioning of resources to tackle those issues better. Having a clear visibility allows managers to take informed, prompt and corrective actions to reduce impacts. Typical experience is, no project is delivered exactly as per the scope. There are change requests through-out the project lifecycle. PPM processes allow stakeholders to submit and prioritise all change requests for new requirements, or change in features/functions, change in operating modality, change in regulatory/statutory/legal framework or any other enhancements. PPM tools, techniques provide central register to capture change requests, to evaluate those for impact-benefits analysis, assess implementation plan (budget, timeline, resources) before approving those in respective projects. Change control is critical to manage project scope creep, and portfolio managers need to monitor change requests across projects before it becomes unmanageable or avoid risk of project failure. Before embarking a new initiative, one has to understand the scope of the initiative, prepare estimate of time and resources, for which, s/he break down the scope into set of tasks, if it is significantly large, then it needs to be broken down into multiple-projects. Multiple projects can in turn, be part of a program; and program and projects in turn can be grouped together as a part of portfolio. The very idea of grouping projects and programs together is to maximise RoI on projects investments, align these investment to implement business strategies such as sales growth, increasing profit, improving operational efficiencies, enhancing customer engagement, etc. Hence from the company leadership perspective active project portfolio management offers immense benefits to optimise project portfolios, augment staff capacity against incoming demand, and link project plans and resources to execute selective projects to achieve business goals. 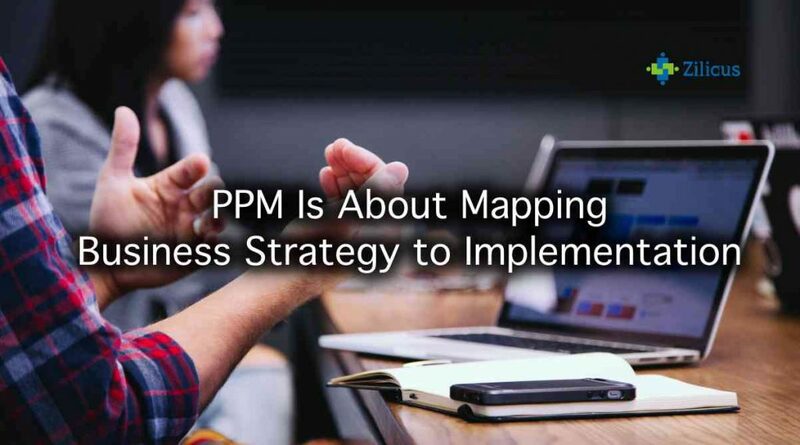 Essentially, PPM is effective and highly useful when management uses it to make strategic decisions, when it needs to plan and forecast demand, rebalance available resources to implement it strategic business direction. 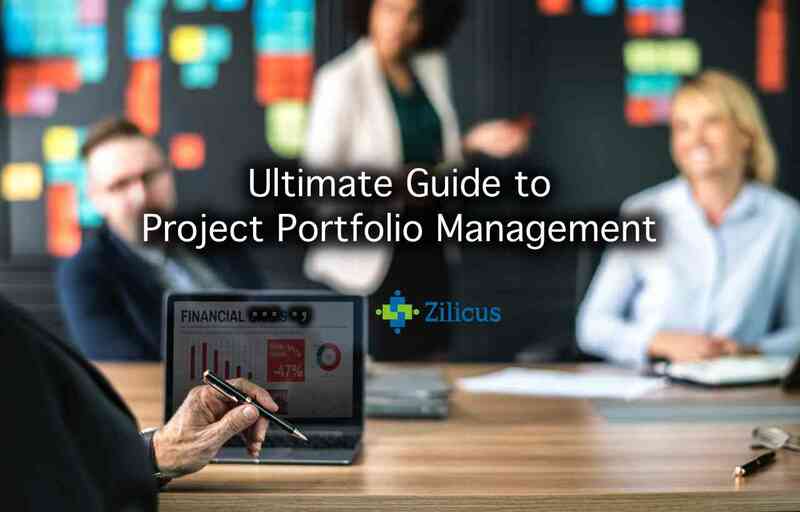 The way portfolio owner /business manager accept new projects or rebalance projects in its portfolio can be effectively optimised using active project portfolio management. Project portfolio management establishes process to evaluate clearly outline business benefits, risks associated with a given project and based on these parameters, it becomes easier for managers to determine whether to accept new project requests or push them further. In absence of right PPM process, projects might be accepted on a gut feeling or just-like-that; and such casual or unstructured approach can prove very costly to the business. Portfolio manager on a regular basis keep evaluating ongoing projects. If there are performance issues for one or more projects, active PPM processes highlight specific projects and the reasons for degraded performance (such as delayed schedule, overshooting cost, quality issues, overweight risk). In absence of right PPM process, portfolio does not have easy-quick-handle to know if there is anything wrong with project(s) and if yes, what’s wrong with them. Even deciding cancelling project. using PPM or without PPM? Of course, PPM will help you/ guide you in the most reliable manner arriving at the decisions and also further implementing those decision. Also read 7 advantages of project portfolio management. Businesses wants to be more agile and responsive to today’s competitive market conditions. This agility can not be achieved with teams/departments working in silos. One need to get overview of various activities (operational, marketing, engineering, sales, administrative, HR, product development, etc) going on in the company. The ability to manoeuver all initiatives across the department, customers can be achieved using project portfolio management (PPM). With project portfolio management your business can take systematic methods and use fact based (data-driven) approach to make better decisions about initiatives, projects, utilising budget, deploying resources, etc in your organisation. Implementing PPM calls for project driven culture in the organisation. PPM can greatly benefit the company however it can fail miserably if people keep resisting the change and right steps are not taken by change managers, project champions, portfolio managers as well as executive management. Let’s look at the common mistakes seen in the implementation and active execution of project portfolio management. If management has been making haphazard strategic decisions for growth, restructuring, etc; project portfolio management will not rectify the fallout from wrong strategic decisions. If executive management has shown consistency in making thoughtful long term as well as medium term strategic planning; PPM will greatly help management to achieve its strategic as well as tactical goals. PPM is natural corollary to implement strategic plans. So the first thing to fix is your strategic planning approach. You should say “YES” to every opportunity since you never know whether opportunity will knock your doors again. That said, many times, the best response to a new proposal is saying “NO”. You see, prima facie these statements look contradictory. It is prudent to evaluate every opportunity for its merit, opportunity cost, etc. As far as PPM is concern, the success depends largely on picking up right projects. The word right here means – having scope that can be achieved, have resources to plan & execute project, have enough funds to allocate without causing adverse trade-off for other projects. Implementing PPM is not one-man-task. It is usually a enterprise wide exercise that warrants creating new functions and roles within the organisation. PPM implementation will require knowledgeable and experienced professionals. If your department does not have skilled professionals you may have to carry out up-skilling, training of those people. You will have to invite coaches, partners/vendors offering services, software solutions. You will have to define, set new policies for requesting new projects, requesting resources, asking budget extension, timeline extension, etc. If PPM team is not empowered to define, use supporting roles and functions, it is as good as a futile exercise. As a firm start turning itself into a project-driven business, it needs project governance practices to plan, monitor, control and deliver projects. There are advantages of process based project execution but at the same time, one need to understand there are different set of project portfolio management practices to manage portfolios. PPM is a bridge between organisation strategies and implementation of those strategies. Missing PPM procedures, communication gaps between various stakeholders including project offices, project management office is recipe for failure. Business need to have well defined, articulated project portfolio management practices. It is also important to ensure that those processes are followed. Project portfolio management software, enables businesses to implement PPM across its department/business units. Also further about 9 Common Mistakes in Project Portfolio Management. Project management age old phenomena, possibly as old as the time when Pyramids were built. For years, human know how to plan and create/build things. As business environment turned fiercely competitive companies struggled to doing right things and also doing those thing right. In project management parlance, the first part of the statement, ‘doing right things’ is termed project portfolio management (PPM) and doing those things right is achieved using project management office (PMO). In order to evaluate requests to embark new initiatives, track ongoing projects so that company reap maximum benefit and reduce risks associated with them, management professionals and executives, turned to project portfolio management. 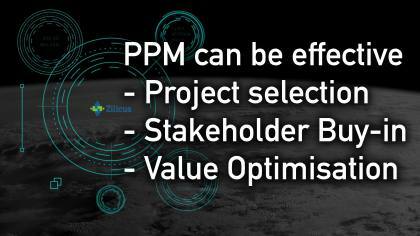 PPM is not an alternative to project management itself but it is also logical extension to manage projects from business driver/direction perspectives. As project portfolio management evolved somewhere around year 2000, project consultants, software vendors sensed the opportunity to transformed their reporting, PM tools and processes to accommodate larger extent of project portfolio management. However, executive management needed more than visibility to detailed project information such as timeline, cost, resources and check whether middle management is able to deliver things inline with company’s strategic direction and goals.. Executive management wanted information which they can use to understand decisions made by middle management, evaluate performance and accordingly support them. Large enterprises needed to solve its project portfolio management challenges of their scale. Enterprise PPM is for such companies operating in industries like Oil & Gas, Retail, Automotive, Engineering Services, Food & Beverages, etc; where there are too many initiatives floating around and there is no consistent way to assess every new project requests across all sub-organisations, departments in it. EPPM is an over-arching (or superseding) mechanism to PPM solutions, project tools, project processes being practiced in each department/sub-organisation. EPPM allows enterprises to manage all its project-resource-work in a top-down fashion. Tracking progress of enterprise-wide initiatives, deciding whether to take up a idea/proposal to launch new product, launch existing product in new territory, introducing/extending customer services platforms, even whether to induct more/new resources to department(s) such decisions are made by executive management looking at the information gathered using EPPM solution. Also read more about Enterprise Project Portfolio Management (EPPM). Project management is about doing things right and Project portfolio management is about doing right things. What is Project Portfolio Management Software (PPM Tool)? Like any other business problem, there has to be a way to manage project portfolio using software. PPM software is the way to go about implementing PPM once PPM goals, processes, roles, rulebooks are defined. 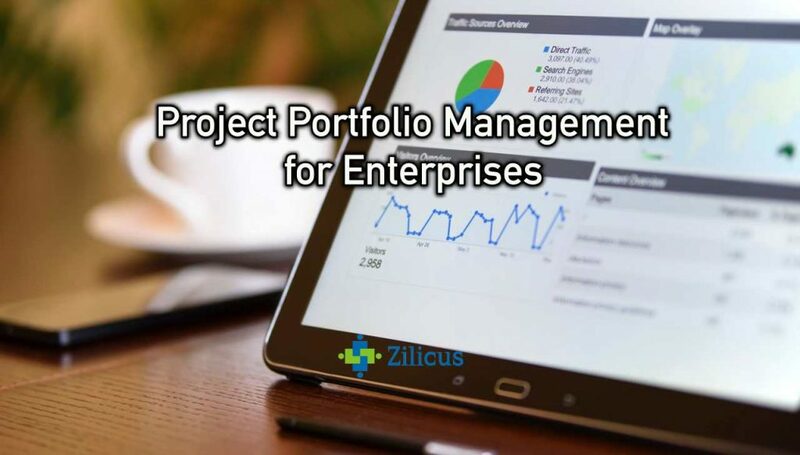 Project portfolio management software allows leaders make better decisions about initiating new projects, disembarking existing projects based on performance or any other issues. Portfolio management software (PPM Tool) is certainly not any other task management tool with Gantt chart features. It is lot more than Gantt chart, time tracking, expense tracking and invoicing. In fact, PPM tool is overarching tool to PM software. Take a look at this project portfolio management software guide. What Are the Benefits of Project Portfolio Management Software (PPM Tool)? The project portfolio management software enables various stakeholders in the company to work collectively on various initiatives and update, share project information seamlessly. 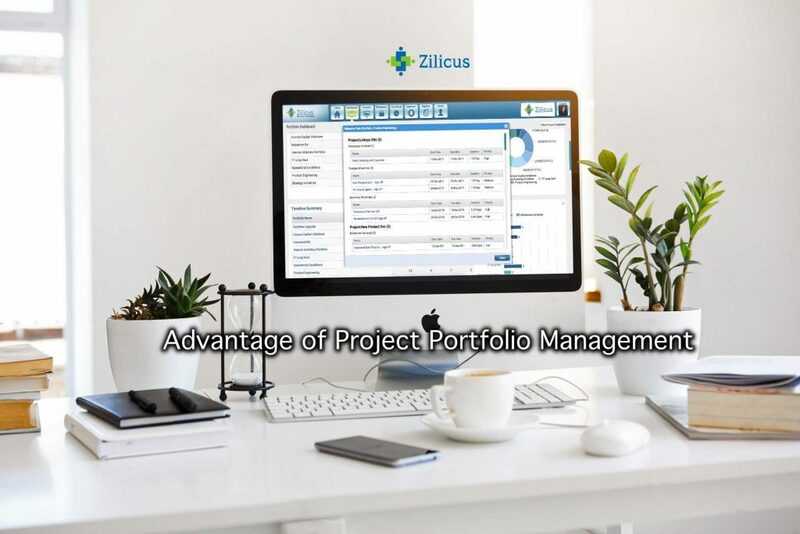 There are immense benefits when project portfolio management tool is used actively to make project portfolio decisions about project requests, resources, budget and other portfolio financials, risks, etc. Let’s look at some of the advantages of project portfolio management software. Most of your project portfolio communication is automated, so stakeholders will be informed appropriately. Know more about the advantages of project portfolio management software. Which is the Project Portfolio Management Software (PPM Tool)? There are plenty of project portfolio management software available in the market. It is a matter of doing an online search and you will find literally millions of results listed. But it is definitely not as simple as Google’ing it and finding the best PPM tool. First of all, you will have to scan through all the search results only to realise, it is not that useful. 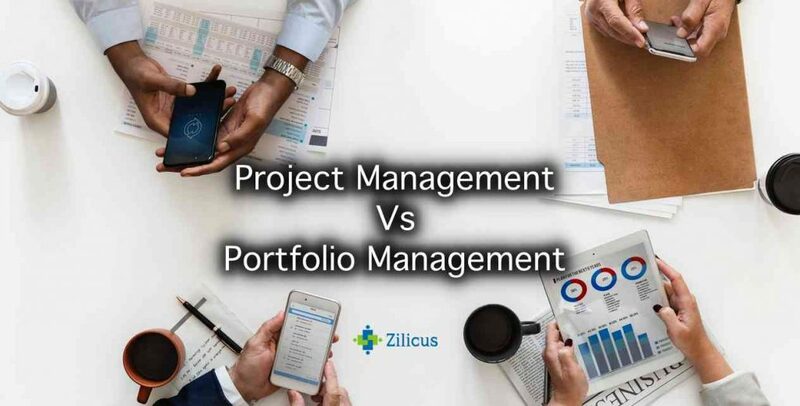 Secondly, the tools touted as portfolio management software do not even have essential project management capabilities (like budgeting, project requests, change management, risk management, resource planning, etc); you can safely ignore these PPM tool products/vendors. 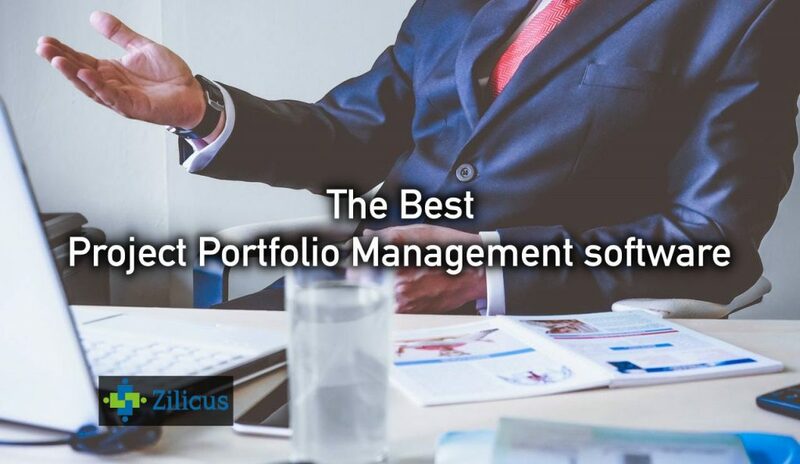 Selecting a right project portfolio management software is a pretty big initiative and I wouldn’t be wrong to say, it is a project in itself. It requires significant efforts, involvement of expert/end-users, budget approval, scanning through PPM tools lists, shorting few of them, taking trials of shortlisted PPM tools, calling up vendors, evaluating PPM tools for feature-fits, ease-of use, performance, security, configurability and more. And one thing you must keep in mind, despite of all marketing jargon and sales-pitches used by PPM tools vendors, the best PPM tool for your company is the one that works for most of your stakeholders, especially project managers, team members, portfolio owners. We have attempted to simplify this whole exercise of finding the best project portfolio management software. Have a look at the list below to understand choices available for you.